You may or may not know this, but Mugsby is owned and operated 100% by me and my husband. We’re a team in real life, and also in business. 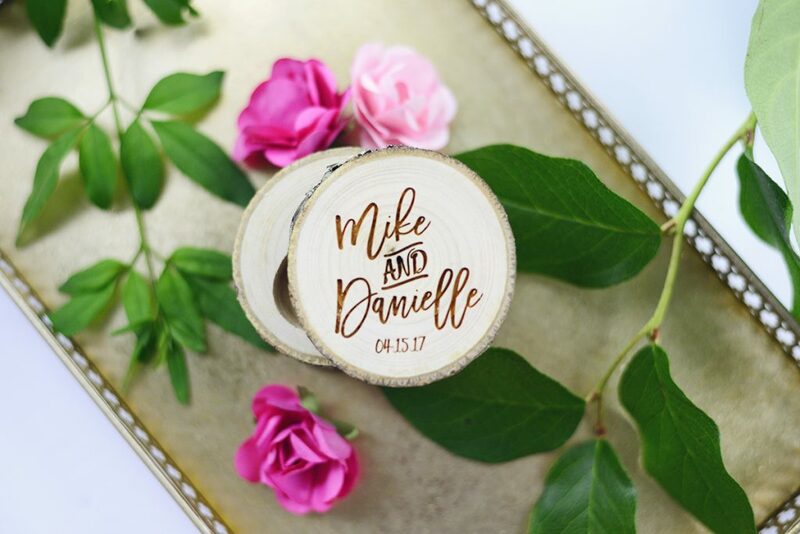 Sometimes it’s hard, but when he comes up with new and amazing products such as our latest personalized Wedding Ring Box sold on Etsy…well, it makes me love him even more. 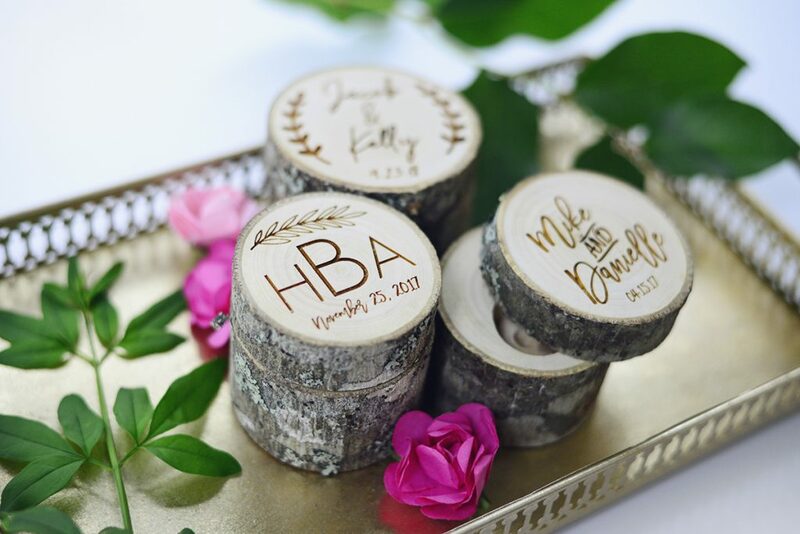 If you’re in the market for a beautiful addition to your rustic-chic or boho styled wedding, you’re going to fall in love with these stunning ring boxes the same way we did. 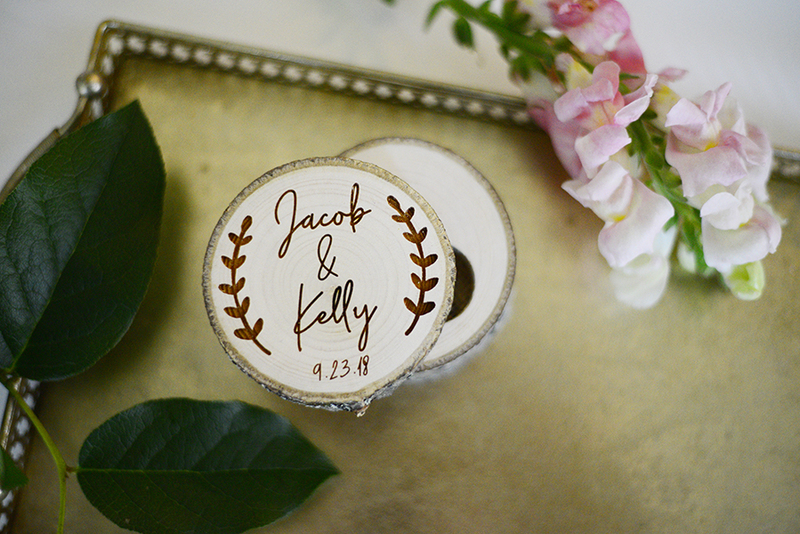 Wedding ring boxes are all the rage in the wedding industry. The idea of the best man keeping the ring loose inside his tux pocket is kind of terrifying, am-I-right? You’d be surprised how many brides and grooms are venturing into smaller keepsake style boxes to store their rings in for their big day. 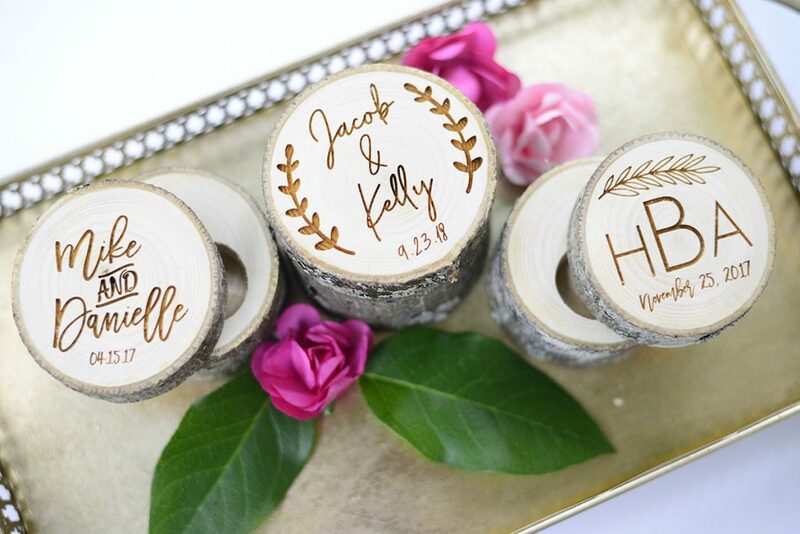 These ring boxes are perfect for the ring bearer to carry on a small platter, or even for the best man to hold in his hand until the time comes to present the rings to exchange. The thing that we love about these practical and pretty boxes is that they photograph so beautifully, (your wedding photographer will love you forever!) they can be displayed on your cake or card table easily and can match your decor perfectly, and they can be saved and cherished forever. Can’t you just imagine passing down this beautiful keepsake to your child, or grandchild one day? Many of our previous brides and grooms keep them for ring storage in the bathroom or in their master bedrooms to keep their rings safe and secure, for years to come. The top and bottom connect with a small dowel for easy swivel. The top is removable. The pieces fit together like a puzzle and the dowel is hidden. There is a 1 inch circumference hole in the bottom piece of the ring box for your ring to fit, with a small piece of brown suede inside the hole. 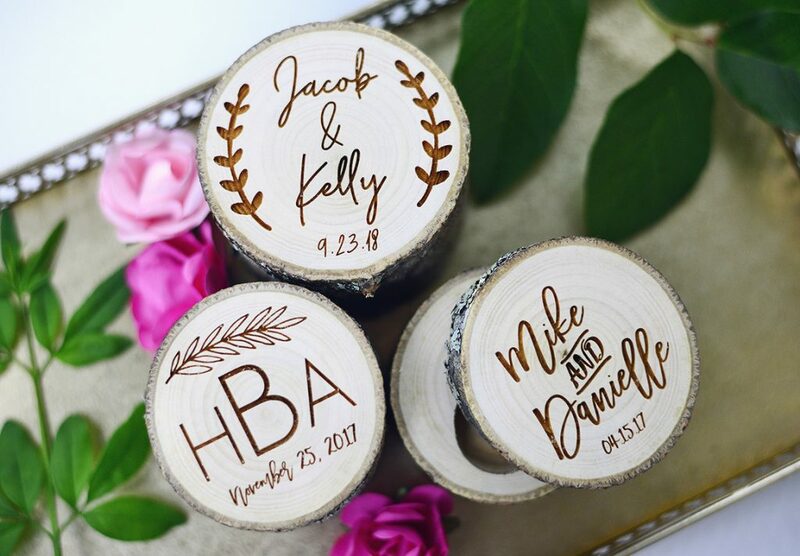 The top is engraved with your personalized information!